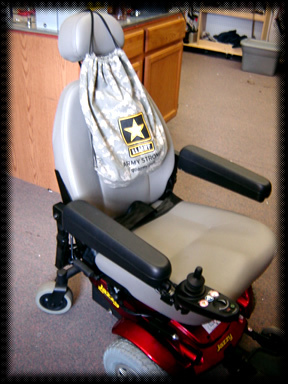 for a young lady with cerebral palsy. Congratulations to all members! 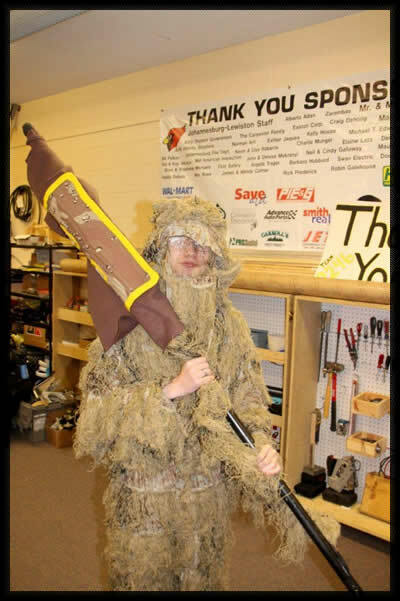 GOOD LUCK J-L ROBOTICS TEAM! 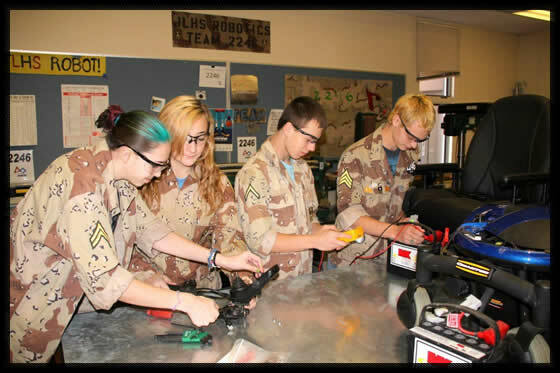 "Our mission is to inspire young people to be science and technology leaders, by engaging them in exciting mentor-based programs that build science, engineering, and technology skills, that inspire innovation, and that foster well-rounded life capabilities including self-confidence, communication, and leadership." 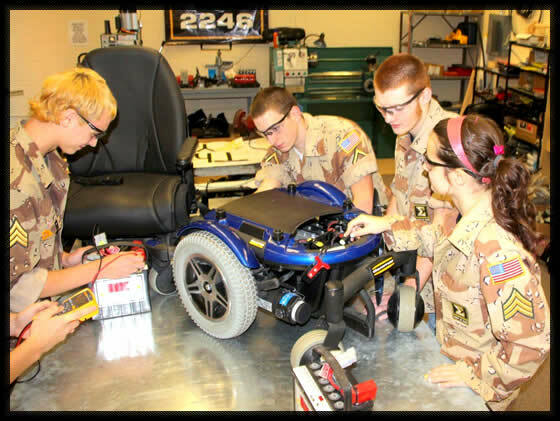 Energy to refurbish electric wheelchairs to give back to the community. 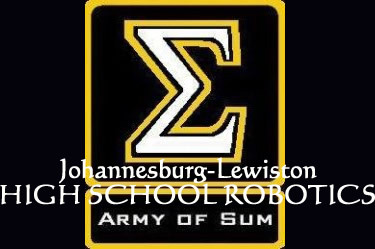 We are the Johannesburg-Lewiston Robotics Team #2246, The Army of Sum. We are taught CAD, programming robots with computer languages, and building a machine from raw materials and components we specify. We also learn teamwork, scheduling, leadership, networking and responsibility. We promote STEM (Science, Technology, Engineering, Mathematics.) 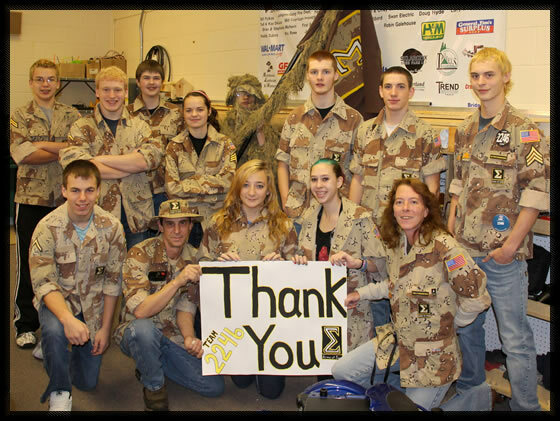 The team's theme is inspired by our nation's armed forces and we proudly support all branches of military. an alternate program for students. The team operates on a budget of up to $30,000 per year. Our goal is to qualify and compete at the World Championships, which are held in St. Louis, Missouri. What we offer in return is the commitment to work hard to continue spreading the message of STEM and building the best machine we can think of for the challenge. The team is a non-profit organization that is completely self supporting, and is funded by donations from the community. It is supervised and mentored by volunteers. 100% of all funding goes to team expenses, which include entry fees, travel expenses, uniforms, materials and promotional items. We are also open to demonstrations at special gatherings, parties, and parades. All of which spread the word of STEM and your support. You can help support our team with any type of contribution. You can choose to support our team with sponsorship. 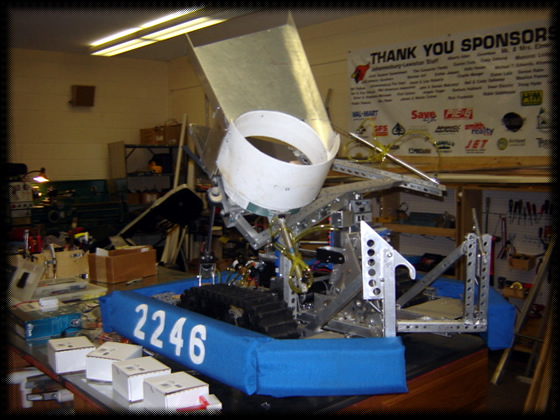 We will proudly display your business name on our robot and in our pit area. We can also hand out any promotional items that you wish to provide. Your business will get Statewide coverage at events that are attended by thousands.